Polarr Photo Editor 4 is now available for Windows 10, Mac, Chrome and online. This is the latest version of Polarr that we released just last week on Android and iOS. We're always working hard to make Polarr one of the best photo editing apps around and we're excited to bring feature parity to all of our "desktop" platforms in this latest release. Let's check out [what's new ](/wiki/what's new)in the app and what's been revamped. You request, we deliver. 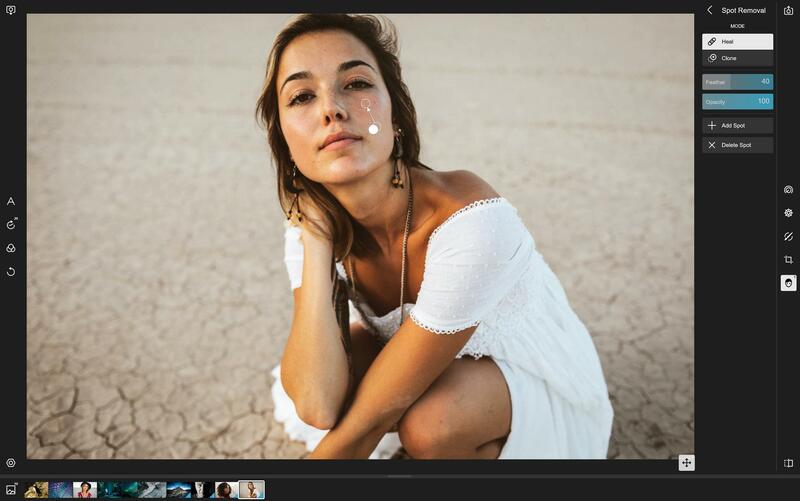 One of the features most of portrait photographers asked for is the ability to remove spots in Polarr. This update introduces a new Healing and Cloning tool allowing you to target and remove spots in Polarr. Look for the new Spot removal tools under the Face tool panel. You can control the feather of the brush and the opacity when applying either the Healing or Cloning tool. Our new set of Liquify tools makes it easy to distort your image in useful and interesting ways. We've added a Warp tool, Pinch tool, and Bulge tool that gives you the ability to shrink or enlarge sections of your image. Look for the new set of Liquify tools under the Face tool panel. With each tool, you can control the size of the effect and the strength. We're pleased to bring all of our Face tools from our other platforms to Windows 10. 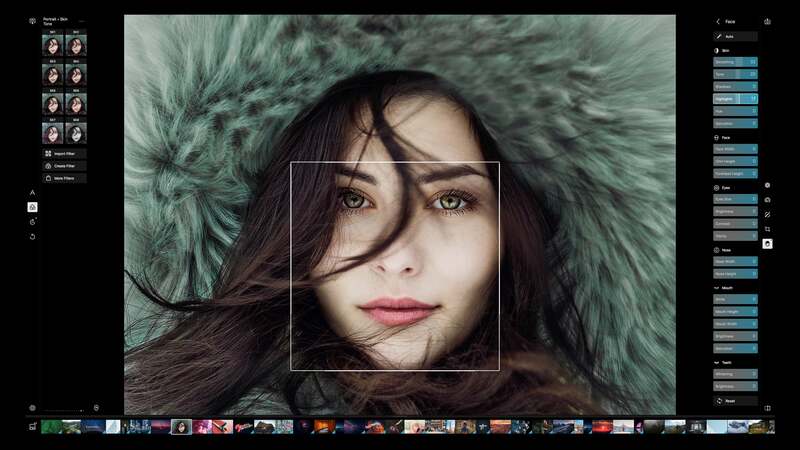 With this update, Polarr can automatically detect multiple faces in your photos for you. 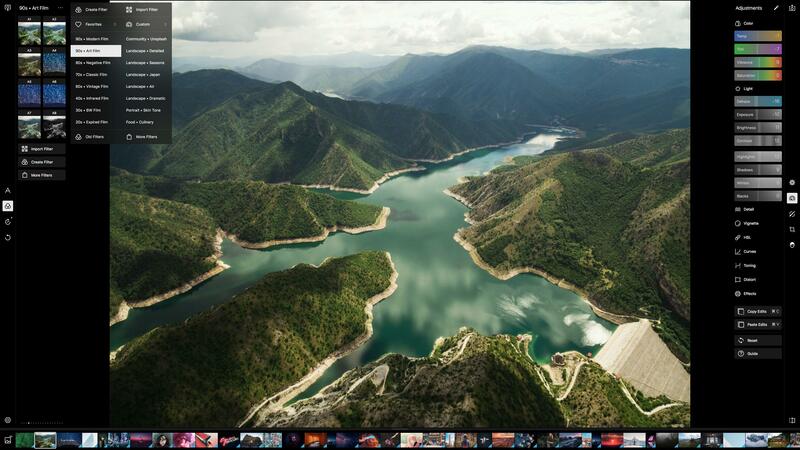 From there, you can simply select a photo to see a wide variety of editing tools. You can easily adjust the skin, facial dimensions, or even facial expressions. We revamped the Color mask to make it easier to select a specific color or range of colors for your local adjustments. Head into the Color mask tool and you'll now be presented with a color picker that lets you select the exact color in an image you want. Once selected, adjust the range to grow the color selection. Users who preferred the old system of using a color radius will still have the option in the editing panel after making a color selection. All of the features above are the major changes and additions to Polarr Photo Editor 4 on Windows. But we did a few extra things to the app beyond the normal "bug fixes and performance improvements". Here's what else changed in this release. Throughout the app, you'll notice all of our icons and tools have been redesigned. They look better than ever and hopefully allow you to quickly know what action you'll perform by clicking or tapping them. This update also makes it so that your watermarks will persist on all photos when enabled. Just turn on the watermark tool, under exporting, and you'll see your watermark on all your photos. Great for when you're working on a set of multiple photos and want to see how they'll look with the watermark before you batch export. Download the latest update and let us know what you think! We appreciate all of your feedback and work hard to make Polarr your favorite photo editor.